We all know how beautiful trees are and how they can improve a piece of property. Yet even these beautiful creations of nature need a bit of maintenance from time to time. Here at Nevada Tree Service, we provide top-notch tree trimming in Las Vegas. Trees that are trimmed properly have a neater and more balanced visual appearance. This balance also makes them less prone to falling, meaning tree trimming in Las Vegas can actually be a wise investment in terms of safety. If a branch breaks off, it could cause serious damage to your roof, vehicle, or fence. If the tree is large enough, it can even end up causing damage to neighboring property, resulting in serious liability for the owner. Trimmed trees are also less likely to suffer from diseases which can spread to lawns and other nearby plants. Trimming can actually help a tree focus its nutrients on strong sections rather than decaying ones. This can help homeowners avoid costly and invasive fixes. 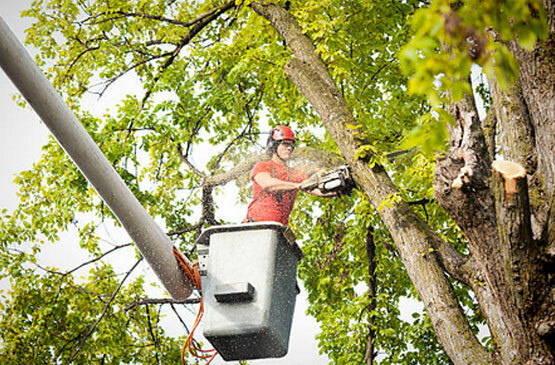 Workers who are unlicensed or uninsured may trim trees incorrectly. Don’t rely on anyone who doesn’t handle these tasks with the utmost professionalism. Need Tree Trimming service in Las Vegas? For expert tree-trimming in Las Vegas, contact Nevada Tree Service online or call (702) 433-4700 today! Don’t forget to ask about a free tree-trimming estimate.